TFSource News - MT Buster Skywing, Flame Toys Shattered Glass Drift, IF Mirrored Commander & More! Megalopolis.Toys Daily Deals For 03/08/19 - War For Cybertron Siege, More! 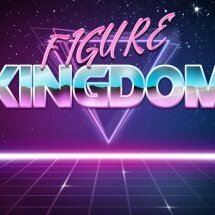 BigBadToyStore Spring Sale! Transformers, Marvel, DC, MMPR, DBZ & More! 1000+ Items 50% to 80% Off!